Quality reverse osmosis systems are available for your home or business to help with the removal of harmful contaminants like bacteria, metals, pesticides, chlorine, scale and sediments. Our systems are designed and built to a higher standard and feature quality USA made components with NSF Certified Sediment Cartridges, Carbon Block Cartridges and Inline Filters. The goal is to provide a quality system that is designed for years of reliable service. At Diamond Pure Water Filtration, our water filtration specialists will sample the water in your home to determine if there is a problem and then design the appropriate water treatment system to remedy the problem. Our expert technicians will provide you with options to handle all your water filtration needs. Whether you would like a whole house filtration system or one designed for just a kitchen faucet, you’ll have several top quality systems to choose from. We offer parts and equipment for most makes and manufacturers. 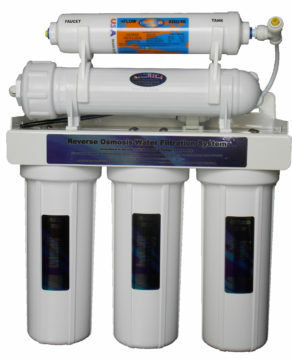 Reverse Osmosis is one of the most common water filtration systems. This system features a fine, semi-permeable membrane that filters sediment and contaminants from the water. Oxygen can also pass through the water through this method, which improves the taste of the water. 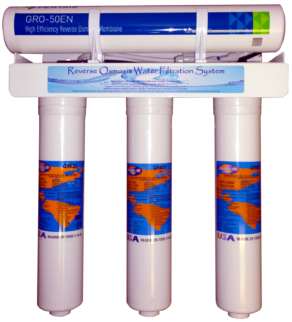 Alkaline Systems are one of the most popular and highest quality systems on the market today. An Alkaline system remineralizes the water and substantially boosts the PH levels in your drinking water. UV Filters are growing in popularity. They use high frequency light to kill all living organisms and are generally used by homes using well water. Reverse Osmosis is a technology that is used to remove a large majority of contaminants from water by pushing the water under pressure through a semi-permeable membrane to reduce the entire spectrum of contaminants that can be found in drinking water. Today, drinking water quality is on everyone’s mind because contaminants from waste sites, factories, leaking fuel storage tanks and run-off from farming chemicals have seriously threatened our water supply. Municipal water treatment plants add chlorine to make certain our water supply is safe. Other contaminants, however, such as lead and asbestos can be introduced to water in pipelines that supply water to your home or business. systems for safe and more healthful drinking water for their use and enjoyment. At Diamond Pure Water Filtration we take water filtration very seriously and it shows in our quality Reverse Osmosis Systems. Our reverse osmosis systems will provide you with the satisfaction of knowing your water is bacteria free and contaminant free while providing you with great tasting water. Diamond Pure Water Filtration recommends you have your Reverse Osmosis System and your Drinking Water System checked at least once a year. Whether you purchased your drinking water system from Diamond Pure Water Filtration or not, we will service equipment from all manufacturers. Our expertly trained technicians use the best quality filters, membranes and parts. Our goal is to leave our customers feeling informed and satisfied with the service and equipment in their home or business. Let us solve your water filtration needs by selecting the ideal system for your home or business. Call for Diamond Pure Water Filtration for your drinking water system today at 909.295.1364.